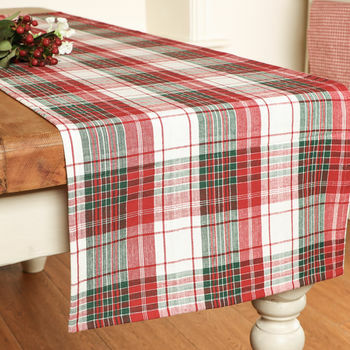 A traditional plaid patterned table runner made up of reds, greens and whites, the perfect table accessory for a country style or traditional kitchen. 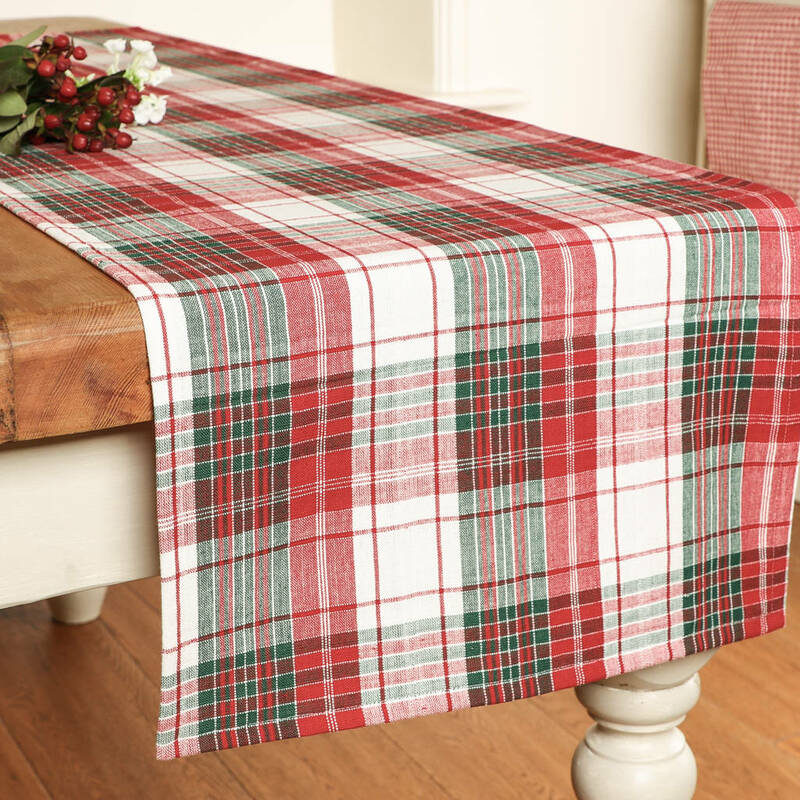 Made from 100% cotton, this fantastic plaid table runner is perfect for decorating your dining table at any time of year. 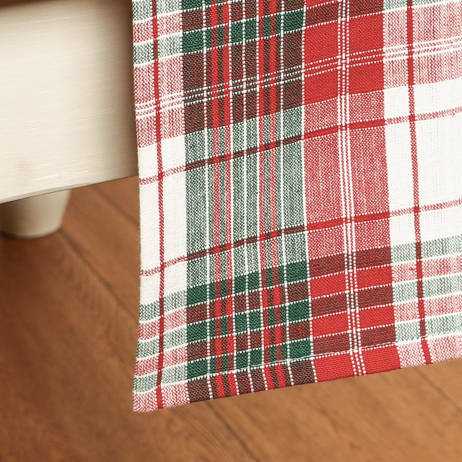 Featuring a plaid pattern built up on different sized lines and stripes in greens, reds and white, this traditional table runner would complement a country style, traditional or farmhouse dining room or kitchen beautifully. 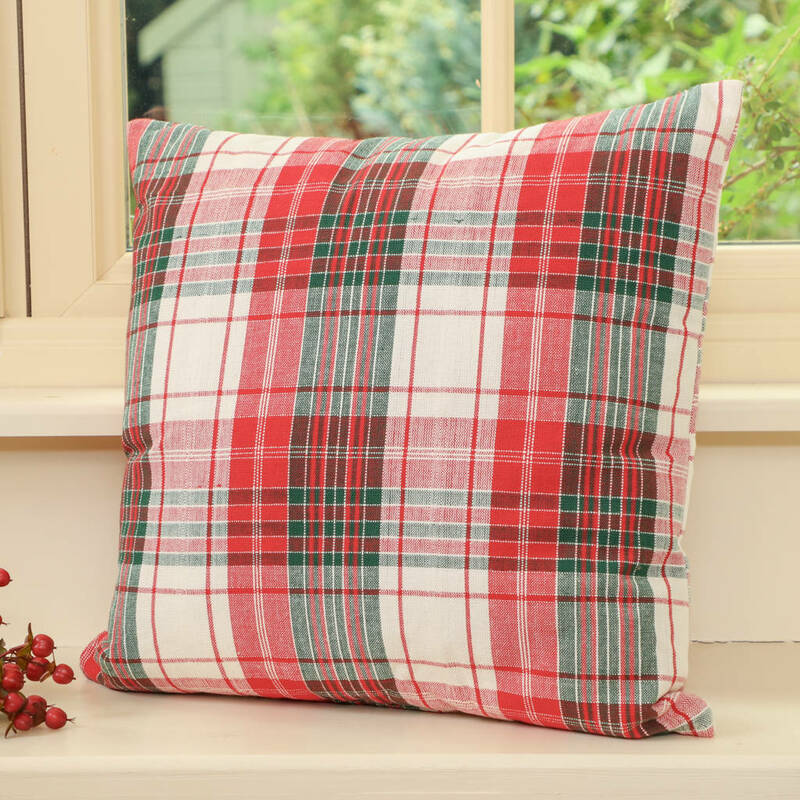 Featuring a traditional plaid pattern made up of reds, greens and white, this cushion is perfect for creating a tradition country style in the home. 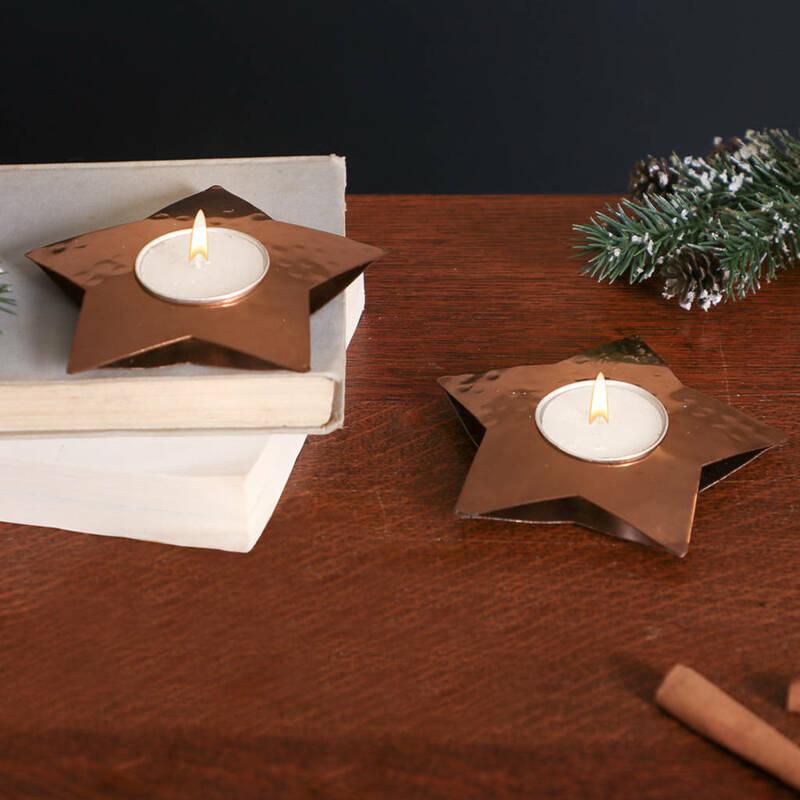 A pair of stylish hammered copper candle holders shaped like a star, complete with a tea light.The contemporary, textured design is perfectly on trend. 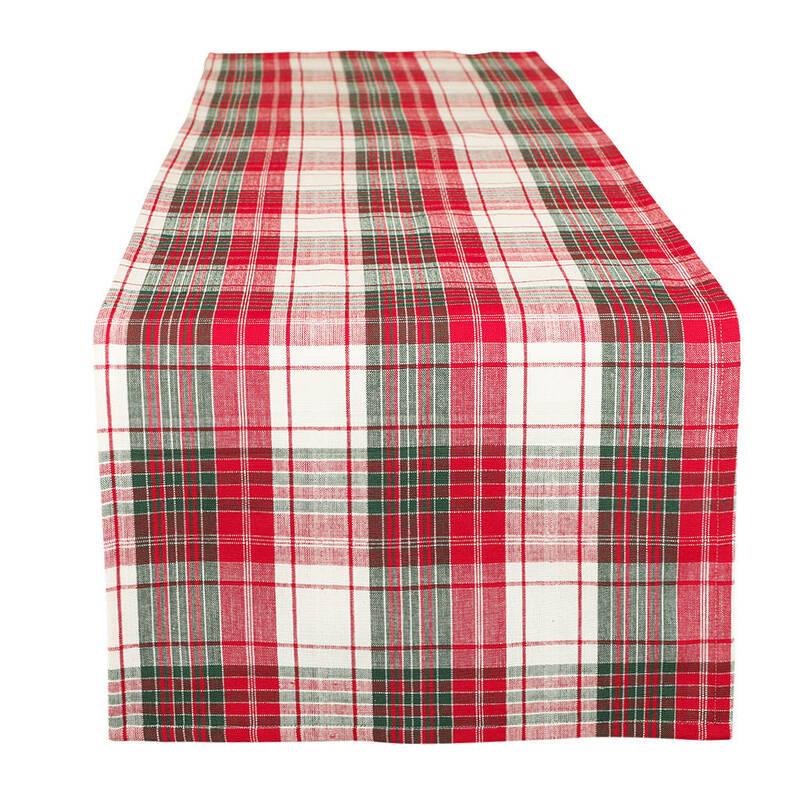 100% cotton that's biodegradable and renewable for an eco friendly choice!